Lightweight with virtually unlimited capacity, Blackhawk Inlet Filter Mat installs in seconds and stops sediment and debris from invading inlets during and after construction. 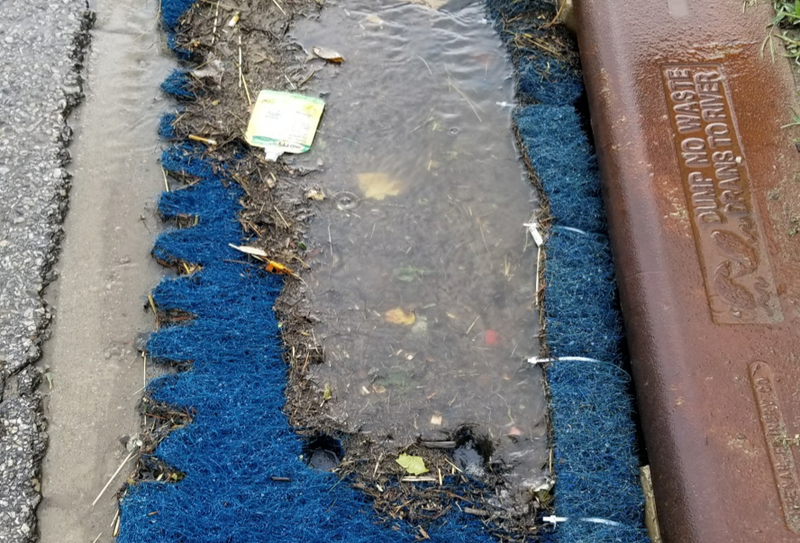 Independent lab testing proved the new Blackhawk Inlet Filter Mat to be highly effective protection against sediment and debris clogging storm water inlets and greatly reducing risk of street flooding. No tools installation, easy maintenance and reusability make the Blackhawk Filter Mat the simple, reliable and cost effective solution inlet protection has always needed. Blackhawk reduces inlet filter installation and maintenance costs by 50% compared to silt sacs or bags. No heavy equipment or lifting of grates – one man job. And Blackhawk is 100% surface visible enabling car window inspections. • Installation does not require heavy equipment – mat mounts to the grate. • Easier to install, inspect, and service. • Lower cost than inlet filter bags. • Less Prone to street flooding – simply sweep it clean. • Can be cut to fit in many sizes. Blackhawk's patent pending vertical fiber orientation creates an excellent combination of hydraulic flow and sediment removal. 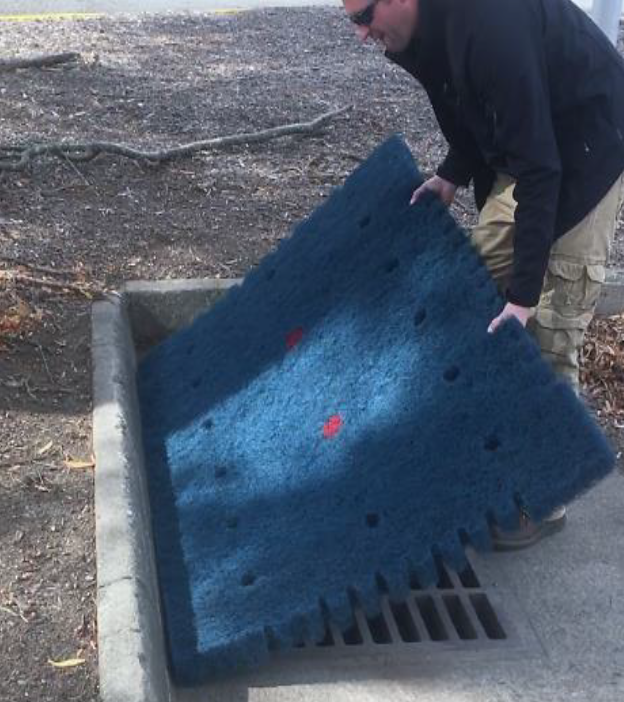 The Pennsylvania Department of Environmental Protection (PA DEP) added the Blackhawk Inlet Filter Mat to their Approved Technologies List in April 2016. Blackhawk is designed to resist blinding and prevent street flooding, providing virtually unlimited sediment storage capacity. It stays in place via industrial-strength magnets and can be cleaned and reused multiple times. • Can be cleaned and reused multiple times. • Made from environmentally friendly coconut fibers (coir). • Filter Mat is compostable – doesn’t need to go to the landfill. • Meets the PADEP No.40 Sieve performance requirements. VIDEO: See Blackhawk Filter Mat’s excellent combination of hydraulic flow and sediment removal.